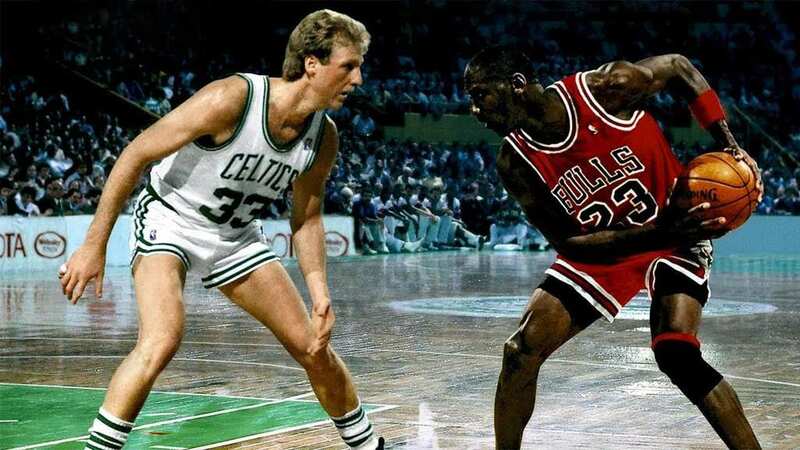 Here is how the rivalry between two of NBA’s biggest ever stars played out – Larry Bird and Michael Jordan. Professional sports can invoke our tribal instincts, we think our team is better than the other team, and we aren’t afraid to let their fans know it. Think the New York Yankees against the Boston Red Sox or the Chicago Bears versus the Green Bay Packers. Sometimes rivalries become more personal, even in a team environment and individuals can have their own rivalries within the team’s rivalries. Often they can be born from sheer competition and other times they just don’t like each other. Larry Bird was notorious for trash talking his way through most games on the court, and he didn’t make an exception for the up-and-coming star at the time, Michael Jordan. Bird’s fiercely competitive nature meant he stepped up his game anytime a big rival was facing off against him. Both men had amazing statistics during their careers and deservedly won several MVP (Most Valuable Player) awards. It was a case of the old vs. the new when Jordan rode into town on the back of his Chicago Bulls team, and people were fascinated to see how the established Bird would stand up to this new challenge. While Bird and his Celtics team would initially have the upper hand in the rivalry, the tide soon began to change as the Bulls built a team around the unbelievably good Jordan. The pair had a famous showdown in a TV commercial for McDonald’s. They would compete against each other for a Big Mac, the loser was the first one to miss a shot. Naturally, they didn’t miss any shots despite upping the stakes each time. The shots were getting more and more ridiculous, including shots off the scoreboard and from the rafters. It was aired for the Superbowl and is considered one of the greatest Superbowl commercials of all time. “Nothing but net” became a huge phrase in the ‘90s and it was largely due to the phrase being used several times in this 1993 commercial. Developed during the peak of the NBA’s popularity, video game developer Electronic Arts cashed in on the sporting rivalry between Bird and Jordan. The game was released in 1988 and was available on the Sega Genesis, Nintendo Entertainment System, and the Commodore 64. The aim of the game was simple, outscore your opponent in a game of one vs. one. Bird and Jordan were the only two players available in the game and gamers could play a three-point challenge with Bird and a slam dunk contest with Jordan. Bird’s career was coming to a close but surgery in the offseason had given him, and the Boston Celtics, a boost for the season – they were running the Chicago Bulls and Michael Jordan close. Despite the build up the Bulls ran riot in Chicago and outscored the Celtics by over 30 points. This match was a significant passing of the torch moment, as even though Bird was competitive, it signaled one of the last significant battles of his on-court career. Bird retired from playing at the end of the season in 1992. So that was the rivalry between the pair, it was born from mutual respect from each other. It seems as though the pair might have even become friends by the end of their playing careers. Larry Bird featured alongside Michael Jordan in the 1996 basketball movie Space Jam, taking on the talent stealing Nerdlucks.